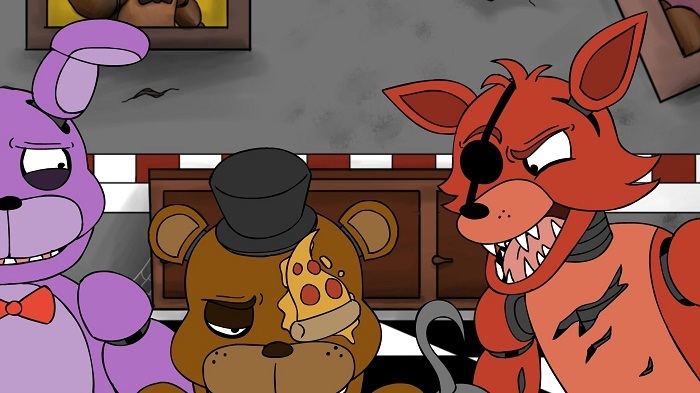 FAIL Night At Fred D. (Five Nights At Freddy’s Parody) is the Five Nights at Freddy’s fan-made. You will become a new employee who has gotten the summer job at Fred D’s Pizza Place. It is a good address for kids and their family to entertain and eat food. Your mission is to watch Fred Drick and his two friends because they will move around at night. Besides, you should manage every equipment here. Sit in an office, you can observe them through cameras. Don’t let them get too close the room or they will kill you!